Grippers are used for general pick and place applications. 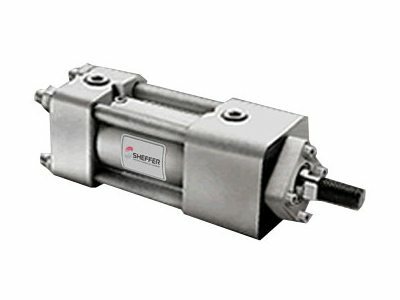 SMC’s line of grippers include pneumatic rotary grippers, two, three and four finger parallel styles that are ideal for gripping and centering; a wide opening parallel model, designed to accommodate many different sized parts; a heavy duty style, suitable for a wide range of applications; an angular model, speed adjustment built in; a toggle to give reliable gripping support; a low-contamination style, equipped with a protective boot; and electric models. 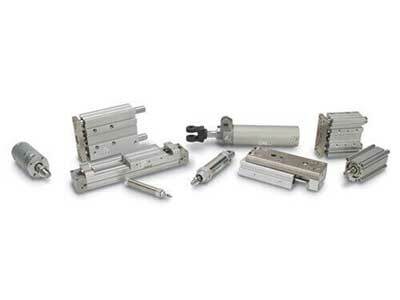 SMC’s guided actuators utilize guide rods mounted parallel to the piston rod to provide stable, non-rotating, high side load performance. SMC offers dual rod, heavy duty, and precision models. 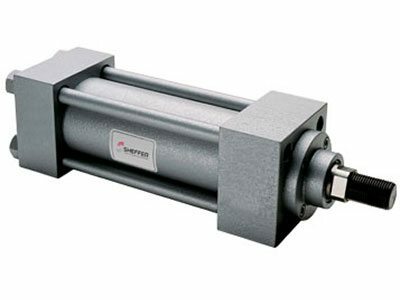 Like rodless cylinders, SMC guide rod cylinders reduce rod bending, piston bending, and uneven seal wear. 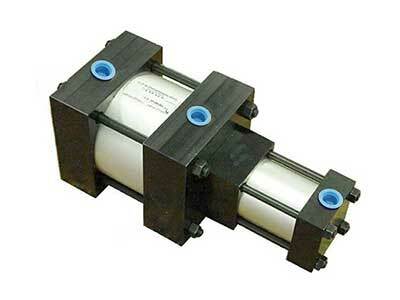 Low profile guided actuator series are available for restrictive space limitations. 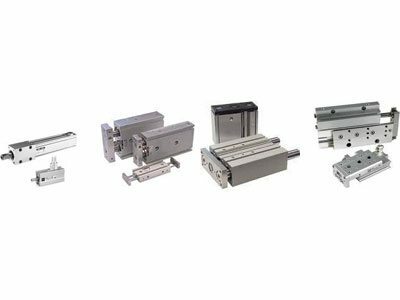 SMC’s linear actuators are used to provide straight-line, in/out linear movement for a variety of applications. 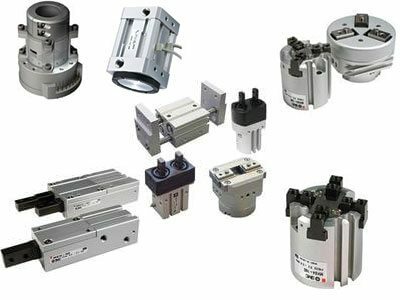 Available as single acting (spring extend or spring return) and double acting styles with single rod or double rod configurations, non-rotating, and precision non-rotating models. Body styles include crimped, round, or tie rod. Single acting air cylinders develop thrust in one direction and have lower air consumption compared with the equivalent size of double acting air cylinders. 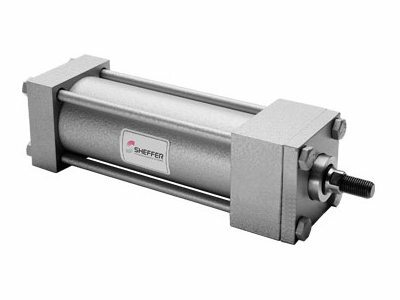 With a double acting air cylinder, air pressure may be alternately applied to provide force in both directions. 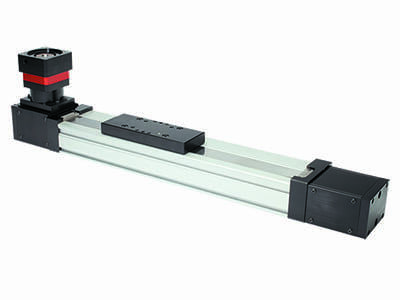 The B27 is Bimba’s single rail belt driven electric linear actuator for use in many different industries and applications. From pick & place to material handling, the B27 is the starting point when looking for a high speed motion profile with medium-duty loading capability. 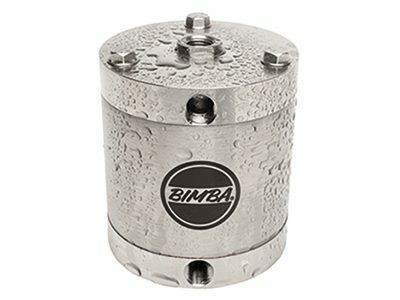 Well-built using high quality components throughout its construction, the B27 is Bimba’s first option when considering a belt drive electric actuator for general purpose applications. 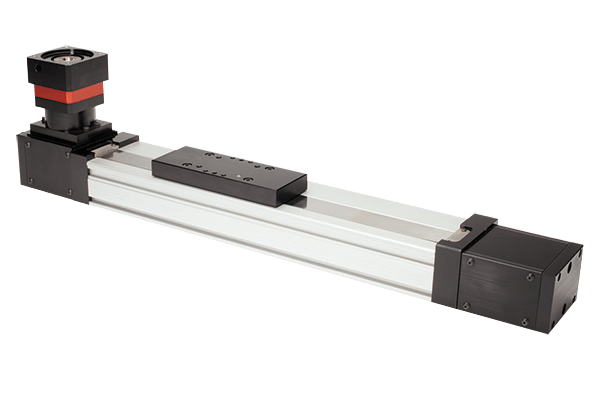 The B27 is intended for applications that require flexible, long distance, high speed motion with low to medium load and moment loading capacity. When your application calls for up to 3m (~10ft.) of stroke with up to 125 lbs (~556N) and speed capability in the 5m/sec (~200″/sec) range, the B27 offers a solution at an exceptional value.